IMP Automation & Control Systems Ltd.
IMP Science & Technology Park Ltd. Representatives of NIS and Institute “Mihajlo Pupin” signed a memorandum of cooperation in the field of education, personnel professional development and knowledge exchange. The Memorandum was signed by Deputy CEO and Director of Organizational Affairs, Andrey Shibanov and prof. Dr. Sanja Vranes, Director General of the Institute “Mihajlo Pupin”. Cooperation between the two sides will be realized within the framework of NIS’s corporate program “Energy of Knowledge”, which has successfully established partnerships with educational and scientific institutions in the past five years. On the occasion of the ceremonial signing of the Memorandum, the experts and engineers of the “Mihajlo Pupin” Institute gave a series of lectures in the field of energy efficiency. 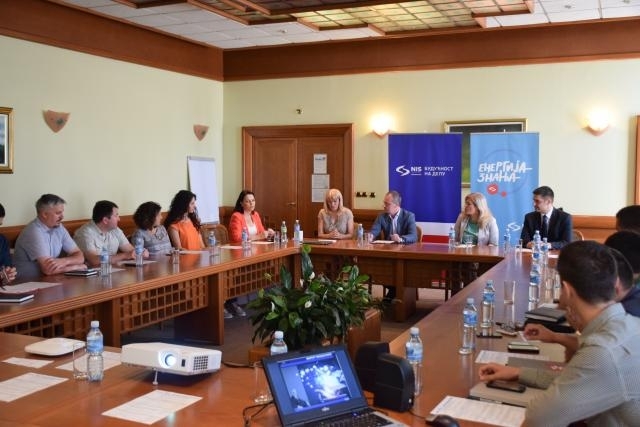 Mrs. Vraneš pointed out that the Institute has 8 active cooperative projects with NIS, and that all-day lectures were the opportunity to show what the Institute is doing for NIS and what it can do for NIS in the future. The agreement also anticipates joint participation in projects of other institutions with the aim to conduct different R&D and educational projects. Post Published : 13. June 2017. Copyright © 2019, Institute Mihailo Pupin . All rights reserved.